In honor of Black History Month, Yahoo Finance is highlighting the achievements of black pioneers and difference makers in the fields of business, finance, and tech. When someone is the first of something, they’re often called the “Jackie Robinson” of their field. Neil Armstrong was the “Jackie Robinson” of moonwalkers; Sandra Day O’Connor was the “Jackie Robinson” of female Supreme Court Justices; and Barack Obama is the “Jackie Robinson” of black U.S. presidents. In 1947, Jackie Robinson broke Major League Baseball’s (MLB) color barrier and integrated the game. 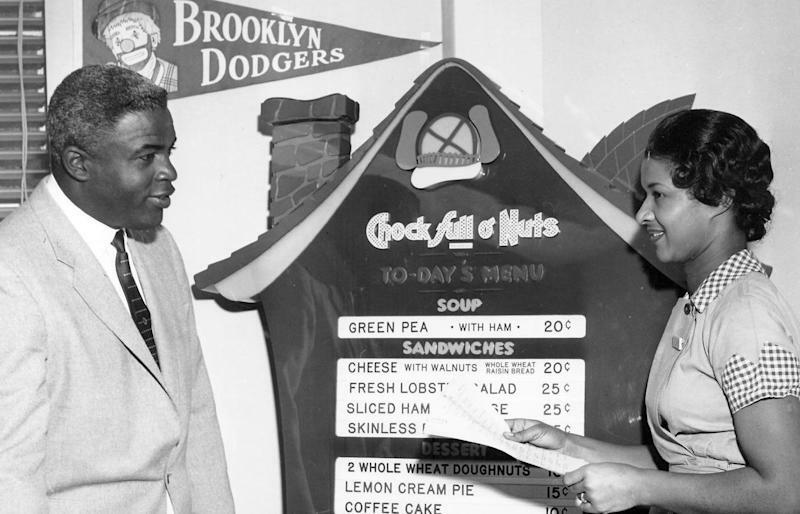 But the MLB Hall of Famer and Brooklyn Dodger was also a business pioneer. You might even say he was the “Jackie Robinson” of corporate America and black banking in Harlem. Immediately upon retiring from baseball in 1957, Robinson wasted no time in jumping into his business career. He joined coffee giant Chock Full o'Nuts and became the first black U.S. vice president of a national corporation. Achieving financial stability was arduous, in part, because of the institutionalized racism in the banking industry at the time. Many banks charged black customers artificially high-interest rates which made securing loans and mortgages next to impossible. Robinson knew that a black-owned bank would serve Harlem as an economic tool that would help its residents build financial independence. Despite the enterprising move, Robinson faced criticisms and pushback; of course, this was of course nothing new for the man who endured unspeakable indignities as the first black player of “America’s game.” However, this time, the pushback came from a different place — within the black community. The unsavory deal left a bitter taste in the mouth of its residents. So when Robinson came uptown pitching a black-owned bank that would work for the betterment of the community — the very community the bank was looking to serve was leery. Many in Harlem feared that Robinson was merely the frontman for white bankers. He was even criticized by Malcolm X, who believed in black separatism and took issue with Robinson’s integration approach to civil rights. In response, Robinson wrote to the civil rights leader, "America is not perfect by a long shot, but I happen to like it here and will do all I can to make it the kind of place where my children and theirs can live in dignity." 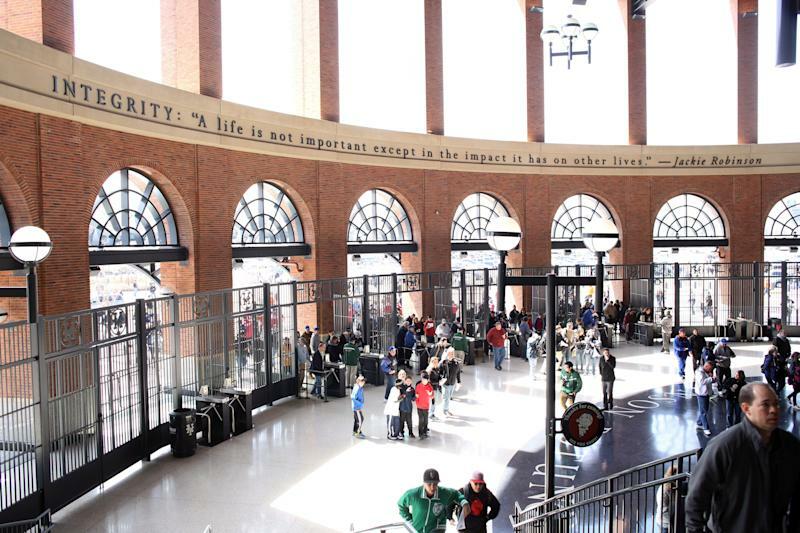 Freedom National started as a labor of love for Robinson, but it did not end that way. From the start, the bank struggled to “balance fiscal prudence and profitability against its founders’ goal of helping small businesses and home-buyers in black neighborhoods by offering low-cost loans,” according to The New York Times. The bank's struggles began to consume Robinson’s time and thoughts. In his autobiography, he wrote about the uniquely tough position black bankers faced, having to deal with the predominantly white banking industry on the one hand and the expectations of the black community on the other. Robinson wrote: “We had to be different because we were a black bank.” Robinson died in 1972, but Freedom National Bank endured until finally closing its doors in 1990. This year marks the 100th anniversary of Jackie Robinson’s birth in 1919. 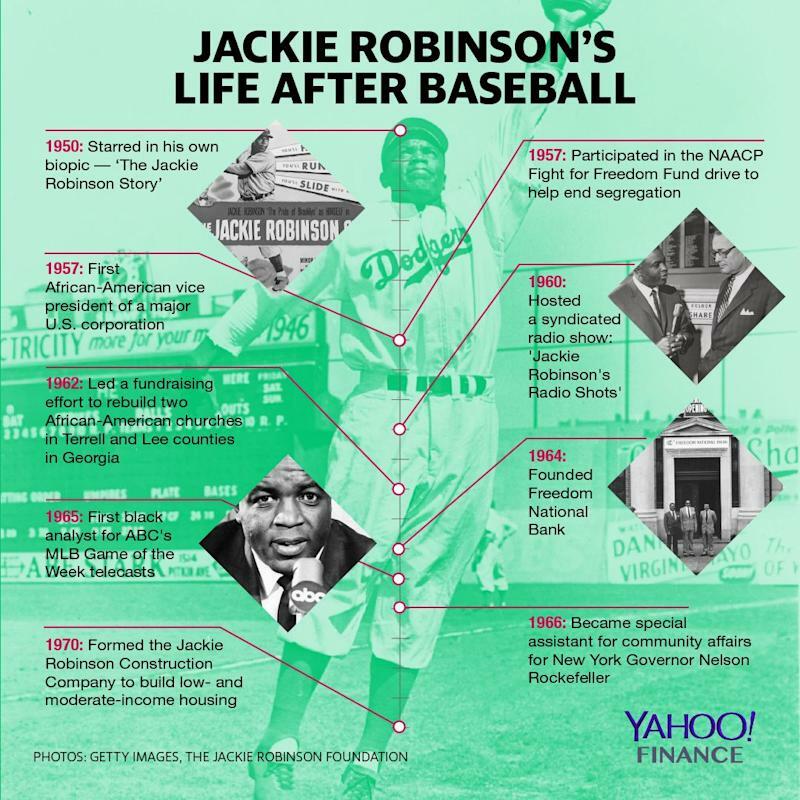 To commemorate that anniversary, the Jackie Robinson Foundation will host events nationwide celebrating his remarkable life, culminating with the opening of the Jackie Robinson Museum in New York City in December. Founded by Jackie’s wife Rachel in 1973, the foundation strives to promote higher education by providing multi-year college scholarships and other support to minority students.